Those who run their own business (or help with the communications aspect) understand the daily trials and tribulations that occur with the phone systems. Whether it’s unreliability, inefficiency, or incredible price fluctuations, it often seems like you’re trapped in a never ending telecom contract. What many big telecoms won’t broadcast to their current clients is that there are alternatives to the major solutions. Even for big business. At the end of the day, reliable, efficient, and affordable telecom services make a serious impact to the bottom line of a business. What’s great about the alternative options? Smaller telecoms are eager for your business, and will provide top-notch service often at the fraction of the price that you’re paying now with a major competitor. In addition, smaller telecoms are more in tune with their clientele, which means no unexpected service cancellations or package terminations that could seriously impact your business. In the past 2 years, both Rogers and Bell have terminated major business package offerings for their clients and are phasing them out (Bell SNR + Rogers One). Unite, on the other hand, has constructed additional packages for these potential customers in an effort to allow them to continue providing their best business to their customers with the same telecom services. What is Single Number Reach? 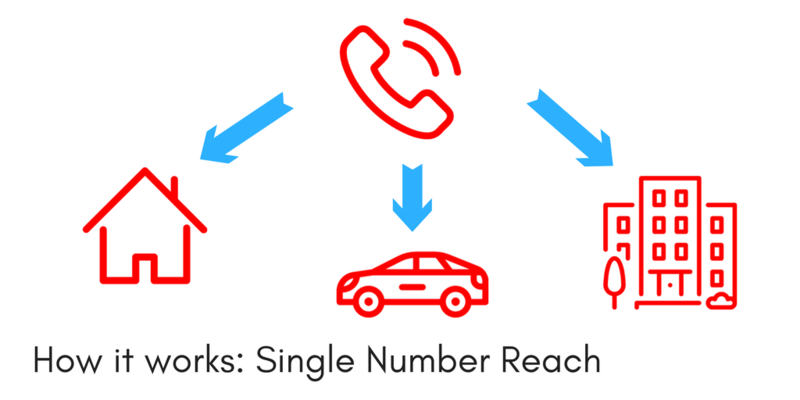 Simply put, single number reach (SNR) is a phone system setup that allows you to route your phone calls to a single device chosen by the user. With most telecoms, you can change the device via an internet portal anytime and anywhere. For example, if you leave the office early one day you can route all calls to go to your cellphone instead of your office phone. 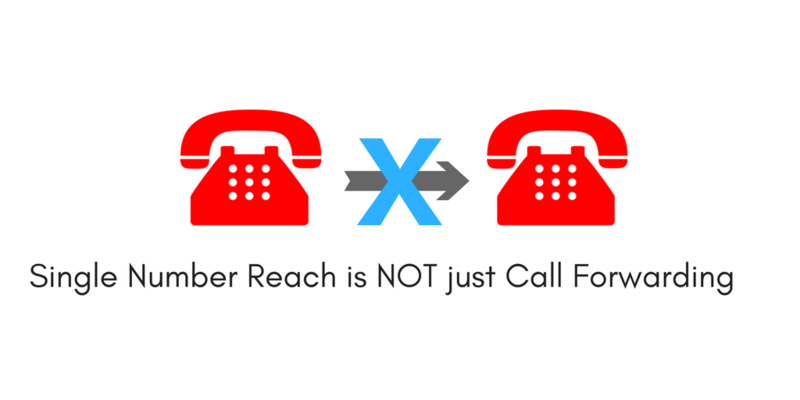 Wait, is single number reach just the same as call forwarding? No. Communications nerds (AKA, us) will tell you that call forwarding is defined as landline-to-landline call routing. Single number reach is controlled through a web interface that can be changed instantly depending on which device you have at the time. Call routing with a single number reach solution can also include wifi connected devices such as tablets. With Unite specifically, there is no long distance charge to use single number reach. The network spans over the entirety of Canada. Another major cited benefit of single number reach is being able to organize your voicemails and messages. This means no more forgotten (or missed) messages. In business, your image can be just as important as your work. 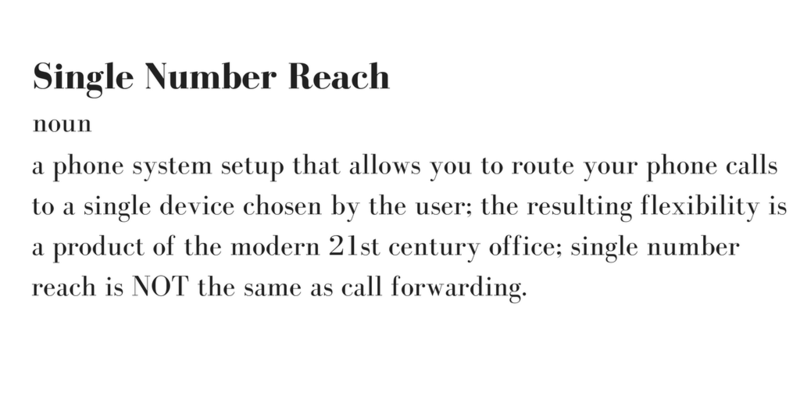 If a client perceives that your office is in a certain city (even though you may work from another location), you can design single number reach to have that specific area code. Again, if you’re working from home, you can still use your office number and route the calls to your home phone. Which also means no need to provide your personal phone numbers to professional clients. Why do Employees + CEOs + Managers need an SNR solution? As any good manager knows, a productive team is a team that produces results. Productivity directly impacts your bottom line. The highest performing 10% of workers work for 52 minutes, followed by a 17-minute break. Many of the happiest offices boast some of the best productivity. The secret? A great work/life balance for the employees that have earned it. Allow your employees freedom to come and go with a single number reach solution. They can easily route calls to their cellphone if they’re on the way to an appointment or to their home if they need a day to work remotely. In this day and age, there’s no need to be tied down to an office phone or desk just for the sake of it. 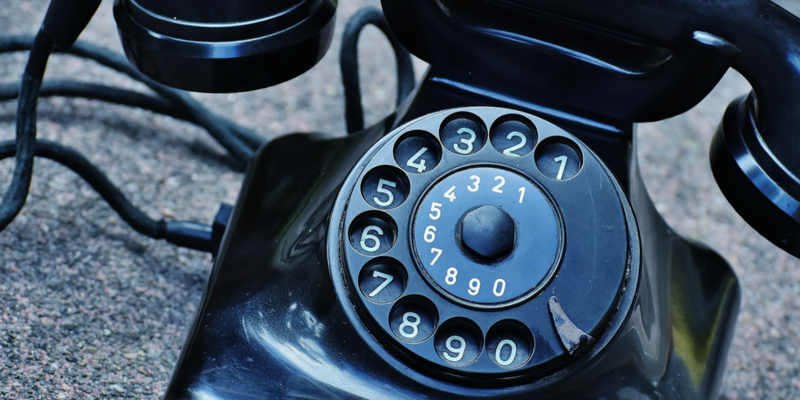 Have you wasted hours on the phone with telecom support? Finding solutions to problems with your communications systems can be the most unproductive way to spend an afternoon. Often, when you end a call with a support representative and realize the problem still persists…you have to call again and start a new ticket in the system. Which means explaining your problem to the next support rep on the other end of the line all over again. With Unite’s SNR package, your business receives a dedicated case manager for your support calls. No need to explain your past problems or confusions, simply let your case manager know what you need help with and they’ll be able to access your past service assistance records. Unite is also a believer in remote support as much as possible, which means avoiding pricey, inefficient, and lengthy technician calls to your office. We’ll only send a technician if you REALLY need it. Yes, there’s a big difference. Being busy often means you’re moving from one task to the next without finishing any of them. As a manager, employees will be disrupting your day with various problems (including those that are technical like phone lines going down). With a fully operational and easy to use telecom solution, you’ll find the knocks on your office door and phone calls are much less. Allow your employees to take their productivity and work/life balance into their own hands while you can focus on managing the projects that you need to.The ideal manager is a leader who can exemplify productivity to their team by being productive as well in the office. In addition, you can also give yourself a healthier work/life balance by using the single number reach (SNR) solution to its full capabilities. Let your employees know when you’re stepping out, and route your calls to your cellphone for maximum productivity. A stressed out team is a mentally and physically unhealthy team. Stress and burnout leads to high turnover rates, unhappiness in the workplace, conflict, and more. As a manager, stress reduction and burnout prevention should always be top of mind to maintain a team that’s fit to conquer every day. Employee output falls sharply after a 50 hour work week. 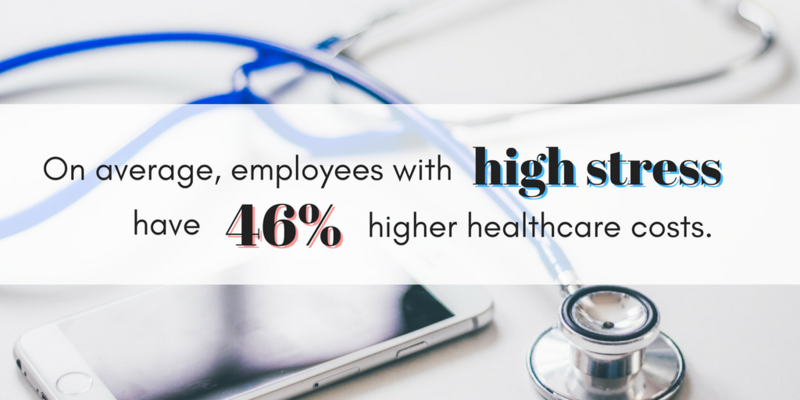 On average, employees with high stress have 46% higher healthcare costs. Eliminate stress around operating and maintaining several different devices at once. If you’re in the office, an SNR solution allows you to route your cellphone, home, and work calls through your office phone. No need to check multiple devices throughout the day. Additionally, an easy to use web portal eliminates any stress around programming a complex phone system. With a proper SNR system, the responsibility of being available and ready to communicate falls on your team. If an employee is taking an afternoon to work remotely, they will be available via their office phone number too with an SNR solution. Additionally, employees may often find that communicating with their manager can be hard depending on the manager’s schedule. If a manager’s preference is to have an employee call them, then an SNR solution can make it much easier to reach a manager who is on-the-go. Many CEOs or managers today are often going to meetings or traveling for business, which makes an SNR solution invaluable. A large part of managing a productive team is providing that team a healthy mental space for work. Feeling overloaded, stressed, or overworked can have a serious negative effect on employee output. If a small vacation or mental break is needed by an employee, they can route calls to a coworker, assistant, or secretary with a single number reach solution. Or calls can be routed to an office phone if they’re working remotely or home sick. That way messages can be checked on a single voicemail box the next day when they return to the office. A flexible workplace means providing a better work/life balance for your employees. This, in turn, can boost their happiness, lower turnover rates, and increase workplace engagement and enthusiasm. Many employees cite flexibility as one of the most important parts of a job (and as a major factor in a decision to leave a role). One third of US workers cite work life balance and flexibility to be one of the most important factors when considering job offers. 32% of workers say that a flexible workplace would impact their health positively. 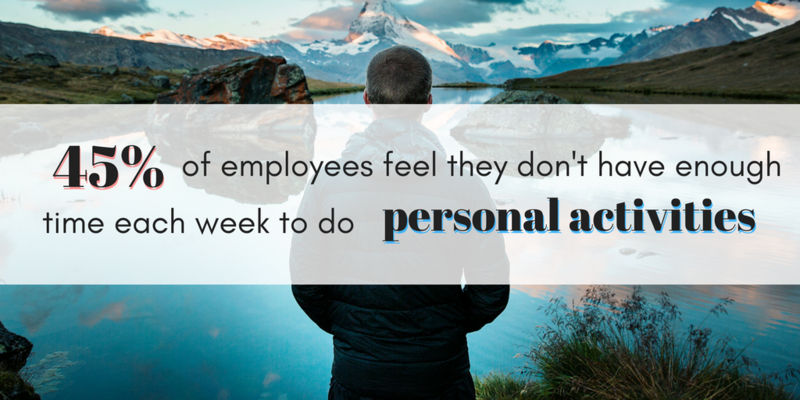 45% of employees feel that they don’t have enough time each week to do personal activities. 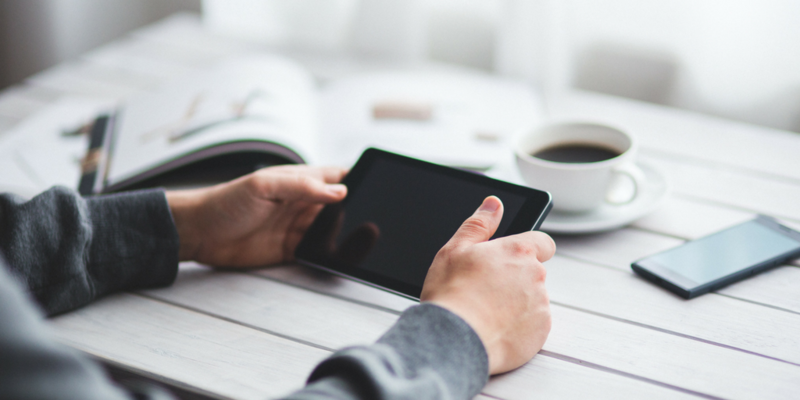 Having an employee work from home or remotely is significantly easier with an SNR solution. Simply change the call route to the selected device and allow your employee to work from whichever location best suits them. 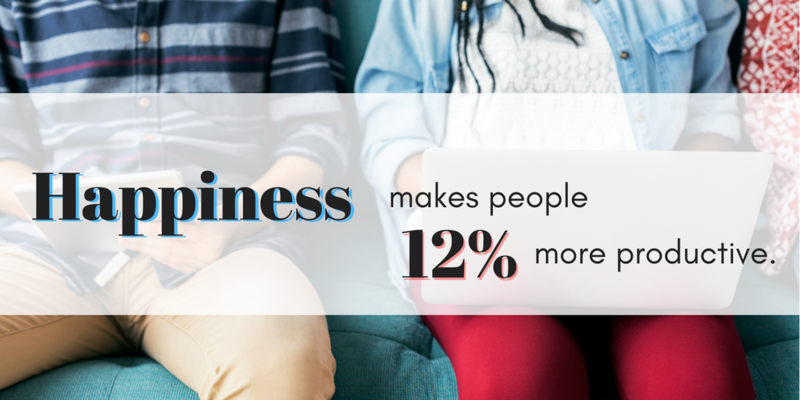 In particular, a flexible workplace in terms of working remotely (due to any number of reasons) is statistically proven to be a happier workplace. Modern day employees cite lack of flexibility as a major reason for leaving a current job. 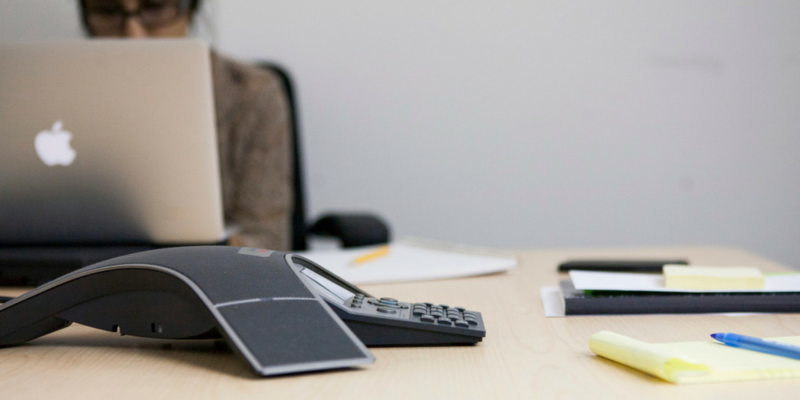 Again, an SNR solution can allow an employee freedom beyond their office phone. They can stay connected while on the go, accomplishing both personal and professional tasks throughout the day. Employees also do not have to be concerned if they’re home for health reasons (post-surgery) or because their children are sick. Again, it’s easy to stay connected and up-to-date without having to leave their home. Choose to hire beyond the boundaries of your office to recruit top talent. Utilizing an SNR solution means working remotely is easy. Your remote employees can also appear to have the same office phone and extension as your current workplace employees to maintain consistency with your clients and customers. Relocating employees is no longer a necessity. Poor communication can cost a business thousands of dollars per year — and this is a conservative estimate. According to a recent independent survey, employees spend more than two-thirds of their day communicating and collaborating, yet lose almost 15% of total work time to unforeseen challenges. Not only does poor communication between employees affect the bottom line, so does poor outward communication with your customers and clientele. 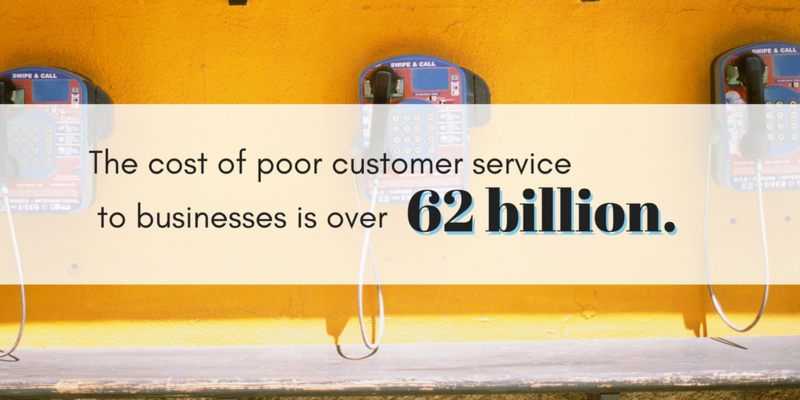 According to Forbes, the cost of poor customer service is over 62 billion to businesses. So how can a business remedy the cost of poor communication? Find better communications systems, enforce full customer service training, and study the impact of their communications by asking clients, customers, and coworkers how the process is working for them. A number of your process problems can be solved by simply providing your staff with the right communications tools. The right telecom solutions are incredibly important to solve many of the problems cited above. For example, a single number reach solution can route a phone call to the correct agent in the office, making transfers minimal. This, in turn, solves the problem of not being able to speak to a real person AND not being able to reach someone knowledgeable. In Canada, Bell currently stands as one of the two largest national telecom rivals (alongside Rogers). Bell offers its clients a number of telecommunications services, and is widely regarded as a “safe” choice for business owners. However, Bell also often receives a number of complaints based on their reliability, poor customer service, and lack of technological innovation. Recently, Bell negatively affected a number of businesses when it announced the termination of its Single Number Reach program (Bell SNR). This termination put the business number of many of Bell’s customers across Canada at risk. In a lengthy letter to their current clients, Bell states that they’ll maintain the SNR service to those who currently have it but will be slowly phasing it out. Not only did a number of clients feel blindsided, it left them looking for alternative options to the major telecom provider that they were currently signed with. Luckily, a number of other telecommunications companies offer an alternative. Unite prides itself on better customer service, significantly better value, reliability, and 20+ years of industry experience. After the recent termination of Bell SNR, Unite developed an exclusive package for business owners and IT professionals in need of an alternate solution. Unite prides itself on listening to the needs of their customers by delivering solutions that are built to be reliable and suit your needs. In closing, it’s not hard to see that your office telecom solutions matter. From office productivity, to employee morale, to customer service, to overall communication in and out of the office, the right solutions truly impact the bottom line. Considering an SNR solution could be impactful for your business, especially for those who are looking to get things done on the go. Alternative telecom options are available for those who have been using the Bell SNR solution but have found themselves in the dark since the recent termination. Unite, in particular, offers a comprehensive package that includes additional features at a fraction of the price to Bell’s previous offerings. Being a business owner is never easy, but finding the right solutions to run your business smoothly can help take a serious weight off.